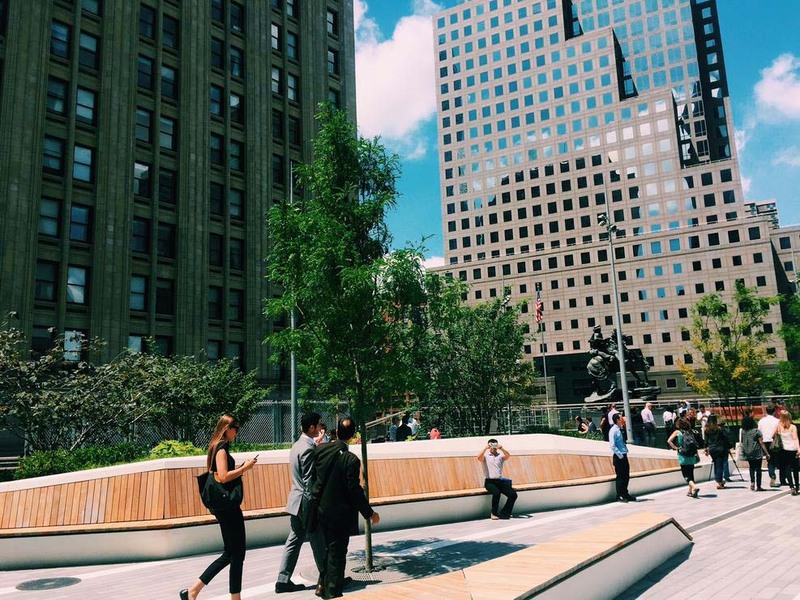 This past week, a new elevated park opened in New York City. It is called Liberty Park, and opened at the World Trade Center. It has a twenty five foot high vertical garden and also contains a sapling from a tree that grew outside of Anne Frank’s house in Amsterdam. The park is located above Liberty Street on the World Trade Center site, it is a smaller scale version of the iconic High Line with a beautiful view of the Freedom Tower. The park contains a three hundred and thirty six foot long vertical garden which is coined as a “living wall.” The wall is built with eight hundred and twenty six panels filled with 22,356 plants of six different varieties. The park is home to the American Response Statue which pays tribute to 9/11 responders. Thank you to NBC New York for the original information and photos. You can read more here. Posted in Garden Events, Garden Tours, U.S. Gardens and tagged Elevated Park, Garden Tour, Gardening, Gardens, LI, LI Gardening, Liberty Park, Long Island, New York City, NYC, Urban Gardening, VanDyke, VanDyke Gardens, VD Gardens.